Today we have a wonderful interview with International Bestselling Author Stacy S. Eaton, who has just released her 3rd book! How would you describe Whether I Live or Die to someone who has not yet read it? “Whether I’ll Live or Die” is an intense emotional drama dealing with the subject of Domestic Violence. During the story you will walk with Amanda as she goes through several abusive relationships at a young adult age. Her life will be anything but sweet and loving. You will also meet Officer Nicole Nolan who deals with domestic violence through the legal aspects of her job. Knowing how to deal with victims of abuse is touchy for her and she does all she can to help the victims she encounters. A final showdown will intertwine the destinies. They actually came at the same time. I believe the title defines a novel, and when you have a good solid plotline, the title should reflect that. The title for this one was born at the same time as the plotline, in that 30 minute drive. What was the hardest part of writing your book? What is the easiest? 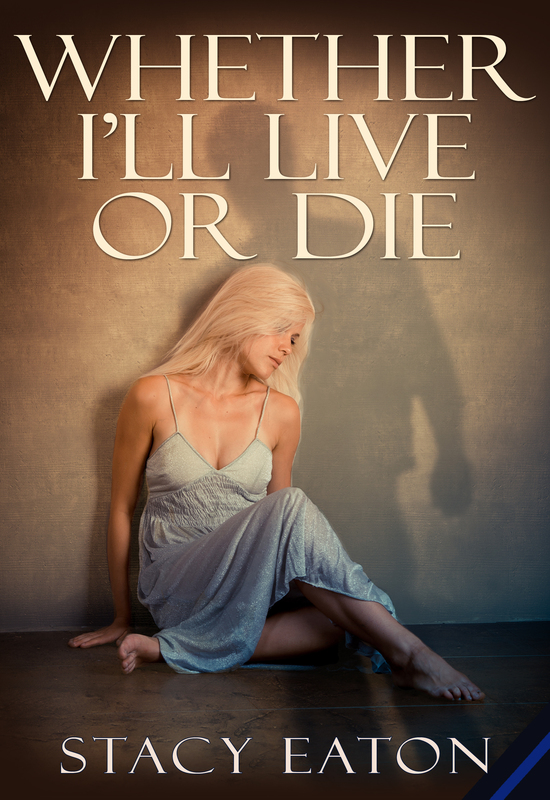 “Whether I’ll Live or Die” is a very intense novel dealing with domestic violence. There were times when I would write scenes and have to get up after a paragraph and walk away from the computer. The emotions were raw at times, and anger or pain would well up in me and I would need a break. I also wanted to make sure that I showed the emotions and the pain as authentically as I could. It was important that I portray Amanda (the young victim) in the correct light and show the strength that Nicole (the Police Officer) has to have in order to deal with everything that happens. The easiest part of the whole story was the plot line. It came to me in about thirty minutes while I was driving. When I got home, I sat down and wrote the first two chapters and then the last. I knew exactly where I wanted this story to go, it was putting the words to the emotions that was the hard part. Is this story based on an actual investigation you were involved with? Well, that’s a yes and no. WILoD is the story of Amanda and Nicole. Amanda is a young girl who craves love and finds herself drawn into abusive relationships one after another. Nicole is a strong control driver police officer who deals with the legal issues of domestic violence in her job. While no particular part of this book is 100% real, there are moments in this book that are taken right out of the past. Whose past? Too many to actually name Mike. Domestic Violence is a very serious problem in our society. The actors have such a mental and physical control over the victims that they fear their lives and feel that they can never get out. So, while you will see a whole lot of real life incidents, they are twisted and turned to get the message across for this book. Life… Everything in life inspires me. People in my life inspire me. Seeing the emotions that people put out there and the adventures they experience inspires me. I use them all to make stories real. I use a lot of my knowledge from my job to bring a realistic view to my plot lines. Many people have told me they weren’t into vampires, but the realistic police work in my series has changed their minds! Lol… I love to hear that! I am all about twists. I don’t want to know what is coming at the end of the book. I want to be surprised. Most romance novels all end the same… happily ever after… but if you look at life, seldom does it end that way. In my novels, I may end them happily ever after, but the twists that come in the story are surprising and most readers will not see them coming. The My Blood Runs Blue series is a good example of that. In the first two books, I throw so many twists in them that people were amazed at the ending results. I know quite a few people who were not happy with the ending of My Blood Runs Blue, book 1 of the series. There were many people who told me that they wanted to other man to win, but I promised all those people that eventually he will get what he truly deserves. It will just be filled with some series twists before he gets there. Whether I’ll Live or Die doesn’t have the kind of twists that I normally put to my stories, but this was a different journey. This one needed to explain the pain and frustration associated with abuse. You have two other novels published besides Whether I’ll Live or Die, what are they about? Currently I have a series called “My Blood Runs Blue” where I have two of the four books published. Now that Whether I’ll Live or Die is published I am working on the third book in the series. This series is very different from my new book. It is a paranormal suspense series where I bring police and vampires together. There is a lot of police procedural stuff in them and made the vampires more human than many novels out there. While so many paranormal books target young adults, this series is for the mature ones, well young and heart mature ones! What are you working on now besides the next book in the series? I am also working on several other novels. I have a contemporary romance that I would like to finish. I have the fourth book in the series to complete too. One of my favorite projects to work on is a new guardian angel novel. I have let a few people read for first 15 chapters of this and they are really enjoying it. It’s a fun novel to work on. I have so many other projects that I would like to jump into, but with my full time police job and family it makes it very hard to find the time. 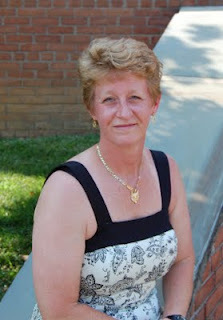 Thank you Wendy for allowing me to visit your blog and your readers! I always love to visit new places! Connect with Stacy on her website, Twitter, her blog, Facebook, and Goodreads. View the video trailer on Youtube! Wendy – Thank you for allowing me to visit today!!! Yes! Finally someone writes about Ministers of religion visa. I’d like to thank you for the efforts you have put in penning this blog. I’m hoping to check out the same high-grade content from you later on as well.